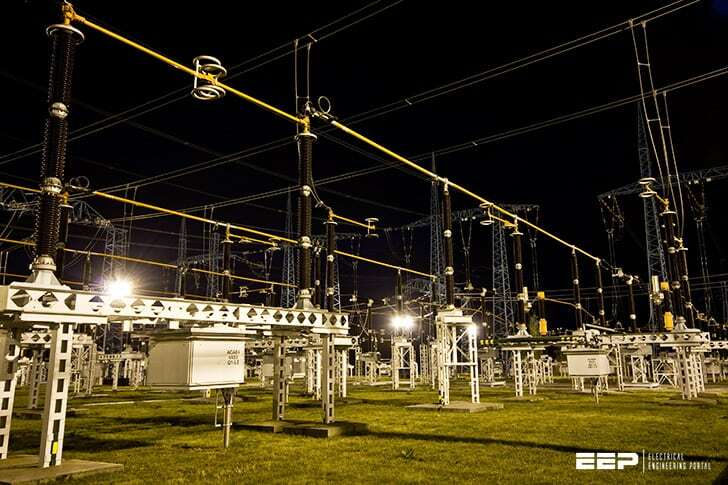 Power system busbars are electrical nodes that interconnect several circuits such as transmission lines, transformers and generators. Although the probability of a busbar fault is much lower than for other items of a power system, when it occurs it produces serious consequences for the whole electrical network. High-speed selective bus protection can do much towards limiting the effects of a busbar fault on the system. An innovative microprocessor based busbar differential relay that offers fast and sensitive operation under internal fault conditions and ensures improved stability during external faults is presented. The relay is low impedance with a biased differential characteristic and includes means to detect CT saturation. The relay includes two separate bus differential zones to cover different bus sections using a dynamic bus replica mechanism that allows for protecting buses with circuits interconnectable between various sections. Busbars are connected to a number of energy sources that all together produce very large fault currents in the event of a short circuit on the bus. On one hand, the failure of the protection to clear an internal bus fault can cause extensive damages and disrupt power system stability. On the other hand, it is equally harmful for a busbar protection to mal operate, because an important node is then removed from the network which can also upset the operation of the entire power system. Sample-bus configuration. double bus arrangement with NORTH and SOUTH buses, five circuits and a tiebreaker. The C-1 circuit is connected to the NORTH bus; the C-2, C-3 and C-4 circuits can be routed to either bus via the switches S-1 up to S-6; the C-5 circuit can be connected to either bus via the B-5 and B-6 breakers. In extensive networks a secure and dependable high-speed bus protection is an essential element to maintain stability and, in the vicinity of large generating units can be instrumental in avoiding shaft damages. The relay presented here is a high-speed low-impedance microprocessor-based current differential relay for power system busbars. The relay includes two separate bus differential zones to cover different bus sections and initiate selective tripping actions. The relay incorporates a dynamic bus replica mechanism that allows for protecting buses with circuits inter-connectable between various sections but with single current measurement points. As explained in the Theory of Operation section, the relay uses a dual-slope dual-breakpoint differential characteristic with the restraint signal created as the maximum among the magnitudes of the circuit connected to the protected bus. The low-impedance operating principle is enhanced by the use of the Saturation Detector and a current directional principle.